Yamaha Hybrid Kit, Virtual Drum/Percussion from Drumdrops. 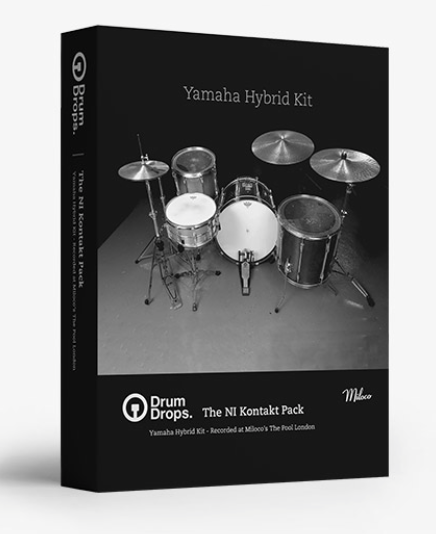 Drum Drops has just released the Kontakt 5 pack of its Yamaha Hybrid kit, which is free for the first 250 “buyers”. The Drum Drops Yamaha Hybrid Kit comprises a large 24" bass drum, a wonderfully deep 18" floor tom and a 14" rack tom. The snare is a Ludwig 402 14" x 6.5". The cymbals used were Zildjian Dark 13" Hi-Hats, a Zildjian Constantinople 22" Medium Ride and two Zildjian Crashes - an 18" Constantinople Medium Light Crash and a huge 20" Zildjian Oriental Crash Of Doom. The kit is owned by producer Ben Hillier (Depeche Mode, Nadine Shah, Graham Coxon) and resides in Miloco's Pool Studio in London. It was recorded by the Drum Drops team with a rare vintage EMT console, Neve 1079's and 1272's, API mic pres and Telefunken V76s. Compressors include Urei 1176's, Altec, Neve 2254's and Tweed. Mics used include Neumann U87's, Coles 4038's, AEA R88 MkII Ribbon Mics, Neumann Gefell CMV 563's, Earthworks SR30's, a Lomo 19A19 and AKG mics. ▪ Groove Player - There are 704 MIDI Grooves included in the MIDI Groove Player that are played by drummers Jason Bowld and Jonathan Atkinson. ▪ Step Sequencer - The sequencer has eight channels allowing any eight of the articulations of the Yamaha Hybrid Kit to be selected and played. The sequencer contains 32 steps for each channel. ▪ Groove Slicer – The Groove Slicer cuts each MIDI groove into thirty-two sections. These sections can then be played back in a different order to the original depending on what which of the three modes are selected. ▪ Mic Blend - Here you can control the mix on the microphones used for each channel. You can vary the balance of the close microphone with the overheads and room microphones. ▪ An 8 channel mixer - Each channel comes with a Mute, Solo, Phase Reverse and 2 Aux sends. ▪ Convolution Reverbs - 4 studio Impulse responses and many classic reverbs and effects are included. ▪ Velocity Curves - The ability to change the velocity curve and tuning of each drum. ▪ Randomisation - Randomise the tuning, velocity, EQ and timing for added realism. ▪ Round Robin Samples - Multiple Round Robins included for extra authenticity. ▪ Channel Effects - 4 band EQ and Transient Master included on each channel. ▪ Stereo Effects - A buss compressor and Tape saturator on the mix buss. ▪ DAW Compatability - Ability to route each channel to your DAW. ▪ Mix Presets - Multiple Mix presets included mixed by a variety of engineers, musicians and producers. ▪ Two versions - A full version and lite version for use on laptops. ▪ MIDI Compatability - Multiple MIDI maps included with full compatibility with the Roland TD-12, TD-20 and TD-30 V-drums and the Yamaha DTX-900. 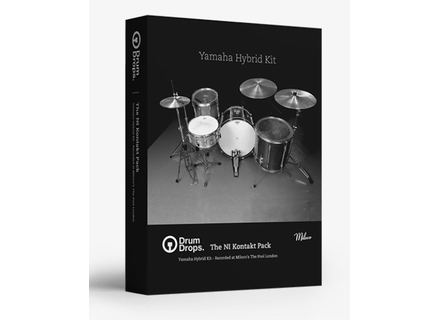 The Yamaha Hybrid Kontakt 5 Pack is free for the first 250 persons who will rush to drumdrops.com. The next 250 lucky buyers will pay only £2 and the following 500 will get it for £5. Regular price is £10. Despite their low prices, these apps sound anything but cheap The quality and variety of synthesizers available for your iOS device just keeps getting better and better. Although many of the top, name-brand synths will cost you in the range of $20 or even more, there are some great ones on the iTunes Store for half or a quarter of that price. Here are five synths that range from free to $9.99, and offer a lot of synthesizer bang for the buck. Friday’s Freeware: its glitches Upon general request, we are leaving the plug-in range this week for to sound libraries in Kontakt, WAV and SFZ formats. HorNet launches a Brickwall limiter HorNet adds to its processing collection the Magnus plug-in, a two-stage brickwall limiter for Mac and PC.